Here’s your chance to show them off! It’s finally here! Today starts the highly anticipated 30 Days of Suggestions! The whole thing is pretty straightforward. For the next 30 days, the HeroSmash team will choose a wide assortment of player suggested Armors, Weapons, and Powers straight from the suggestion forums. That’s right, super boys and girls: the items YOU wish to see in game just may become a reality! Click here to post your Armor Suggestions! Click here to post your Weapon Suggestions! Click here to post your Power Suggestions! A Super Important Note: keep the theme of items to super heroes, modern and/or futuristic vs fantasy style… since this is HeroSmash, after all! Where can I find the new suggested items? 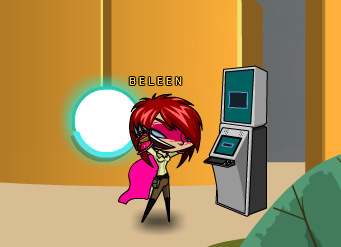 Player suggested items will become available at the DTU Kiosk inside Herospire and Skulldeep. If the item is Neutral based, it will be available in both the Herospire and Skilldeep Kiosk. On the other hand, if the item is geared for Heroes, it will only be offered in the Herospire Kiosk. Likewise, if the item is only suitable for Villains, it can only be purchased at the Skulldeep Kiosk. Yergen von Smerwhateverhisnameis is getting today’s Player Suggested Item(s??) ready for release! And as soon as I find out what it is… or what they are… you will find out too! Hooray! The first Player Suggested item has arrived in the Herospire and Skulldeep Kiosks! The Pulse Crossbow was inspired by your fellow player Askewen and can be obtained for 30 DTs. If you see Askewen, congratulate them on a job well done! Can’t wait to see what item hits the shelves tomorrow!